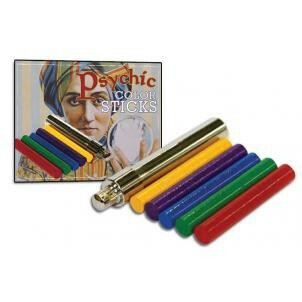 The Psychic Color Sticks is a wonderful newly crafted ‘old’ mind reading effect that has been unavailable for many years. The method is easy and fun to do and the effect is quite startling and mysterious. No memorization is required! Display the 5 colored rods. A spectator chooses one to insert into the tube and hides the rest, and you guess exactly which color they selected!